As promised in my blog entry nearly one year ago, here’s the (monster) post about this project. Boy, what a ride! This is definitely my most complex (and still ongoing) software reverse engineering stunt ever!! When starting this venture I was a blue-eyed Mac user and just-for-fun programmer and never imagined to learn this much about those machines I loved since 1985… by the way of a very nice guy I was finally able to get an SE/30. Immediately I thought of accelerating the cutie. 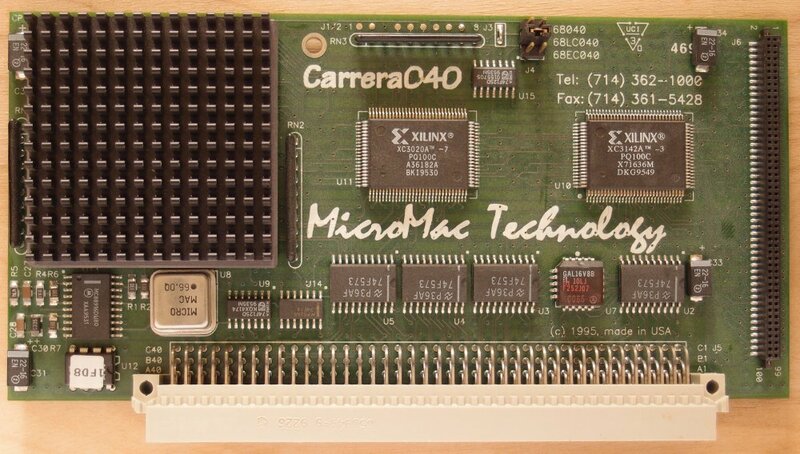 For many years I had a Carrera040 (or C040 for short) – a Motorola 68040 accelerator for Apple Macintoshes – in my locker which I bought in wise foresight without even owning a Mac to plug it in. The C040 I got was meant for usage in a Macintosh IIci, plugged into its L2 cache-slot. That said, using special adapters, the C040 could also be used in other 68030 Macs like the IIx, IIcx, IIsi, IIvi/vx and the LC/LC II. Is the Carrera a Speedster? What’s this question about? Well, you might also have come about notions of an accelerator called the ‘Mobius Speedster‘ which is pretty similar to the C040. So when I had my glorious SE/30 sitting on my desk it immediately came to my mind to make this card running in it. 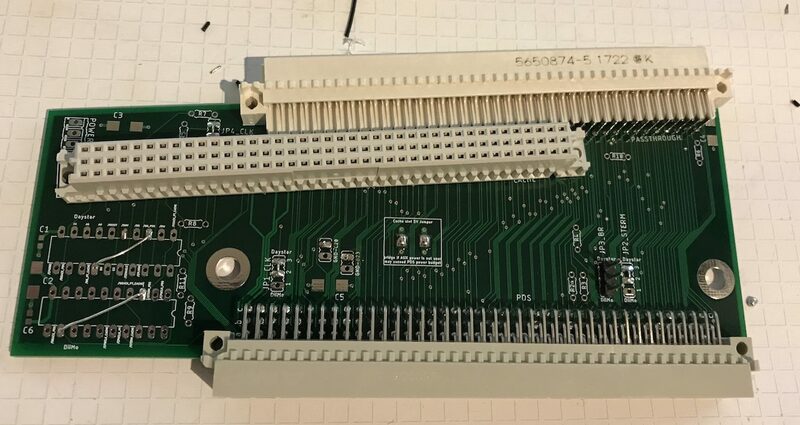 You have to know, that the SE/30 is a somewhat shrinked-down version of a Mac IIx which again is pretty close to the IIci – and there was an adapter in existence to use another popular IIci accelerator in an SE/30 (Daystar Turbo 040). But it’s very rare and there’s next to no chance to find one. Anyhow, it’s doable, so I was hooked. 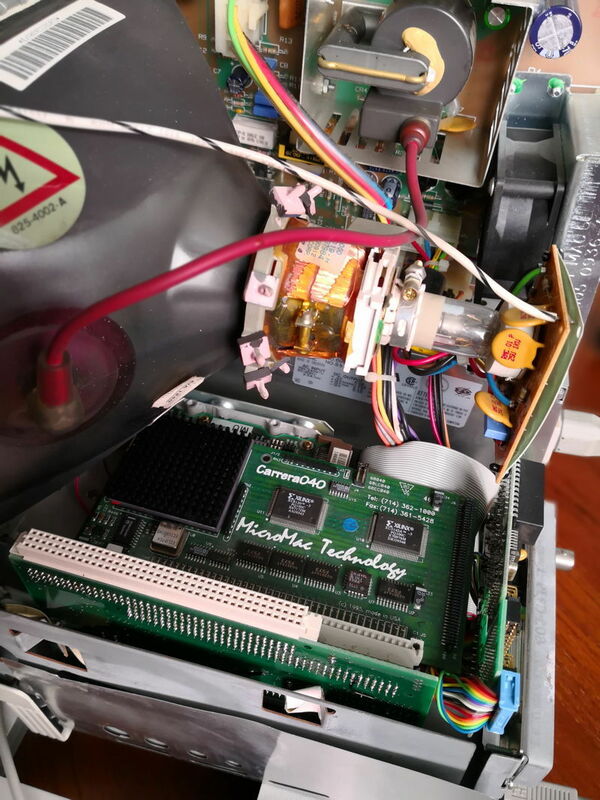 I stumbled across a cry for help in the 68kmla forum, a user owning such an adapter and a C040 tried to get it running in his SE/30… to no avail. So while still not having the proper adapter (yet) I thought “why not start looking into the driver while waiting for the hardware?”. 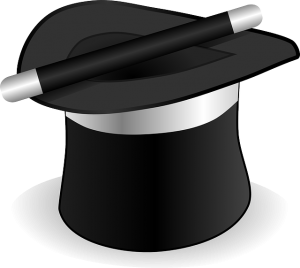 MacNosy – a users nightmare, a hackers heaven. My natural reflex is to reach deep into my tool-bag, get out my favorite disassembler/hex-viewer and start digging through its output. But for System 7 my bag was empty. 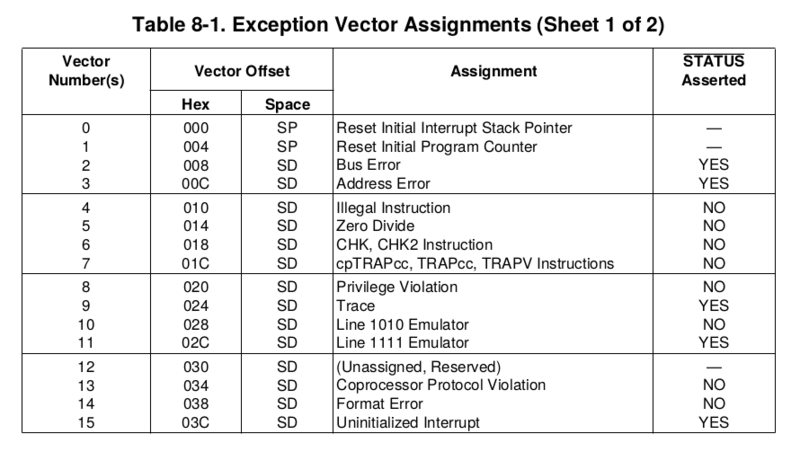 Is there any disassembler at all? 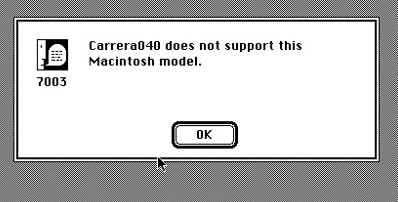 While the good thing is, that most software packages which cost plenty of $$$ back then are abandonware today, the bad thing is that many are undocumented and unsupported. After some research it became clear that MacNosy was and still is the best m68k MacOS disassembler around. Boy, this disassembler is powerful! But it seems to be written by Steve Jasic for, well, Steve Jasic. 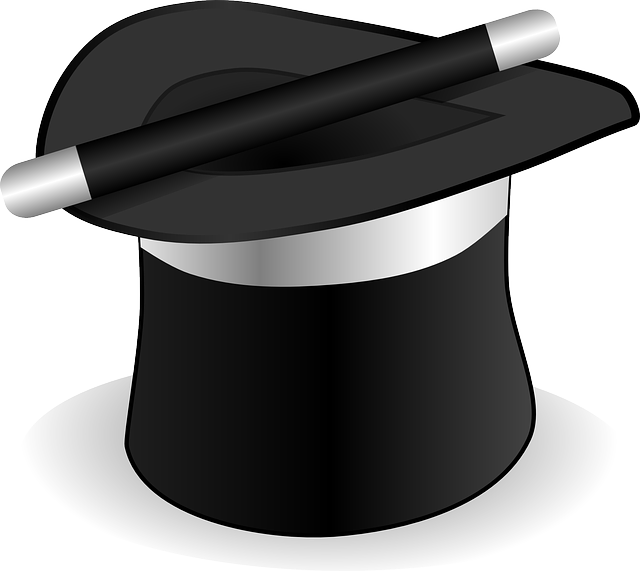 I know that kind of tools – I’ve written some of those… and never showed it to anybody because it was, erm, special. Prepare yourself for “everything will be different than you’ll expect it”. Steve gave a sh!# about UI or keyboard conventions. Cope with it. Luckily there’s a very good review and some sort of documentation can be found here. Same but different – which is where? Does ‘A5-world’ ring a bell to you? No? 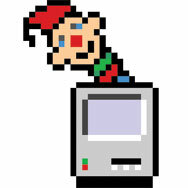 Don’t worry, it was the same for me, even I am using Macs for a long time. Even it’s an 68k system, there are so many things done different than e.g. in Amiga OS or Ataris TOS – so you have to learn a lot. The provided Carrera040 “drivers” consist of an INIT/Extension (“Startup Carrera”) and a Control Panel (“Carrera 040 1.8”). And indeed, the INIT code does not do much more than loading a specific resource from the control panels resource-fork. So I concentrated on the control panel (CP for short). Using ResEdit, you’ll find the main detection and control-code in its resource fork called “SPDR’ (SPeedster DRiver, got it?). During all that code-gazing, head-scratching and learning-new-things-every-day great luck struck and I virtually-met ‘Bolle’. 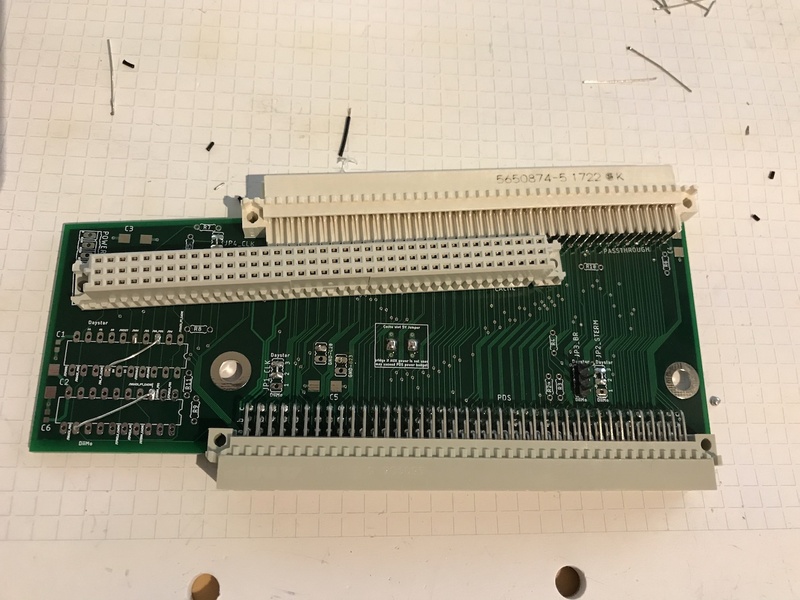 A guy who created a clone of the mystical PDS-to-IIci-slot-adapter. Woohoo! Even those 120pin DIN connectors are incredibly hard to find. So after spending some Euros I was finally able to jump into the ‘the real thing’ and try my patches in-vivo, or watch the code being executed. Thanks again, Bolle! 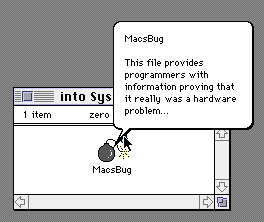 The weapon-of-choice for watching code run is definitely Macsbug, the official debugger from Motorola, heavily modified by Apple through all the years until MacOS 9.2. Ok, now I had to be somewhat more serious – and my skills had improved over the last 20 years, so my routine turned into single-stepping and tracing through the code, skip certain instructions which might kill the code, watching all the registers and most important and watch how the Carrera “driver” behaves in an SE/30 vs. IIci. I even created some macros (which have to saved into Macsbug own resource-fork!) and started an endless try-and-crash drill. The working drill is tedious: You step through the instructions, while following your steps in the disassembled source, to the point where it crashes. Remember/note the point (address) where it crashed and try again. This means you have to manually trace closer to “the edge” but try not to fall off the cliff. And when you did – and I did many times – rinse & repeat. Sometimes you can ‘skip’ complete function calls containing hundreds of instructions (called ‘Trace’), sometimes you have to sit-through (i.e. single-step) a very, very, very long loop just to be sure it works 100%. The next post/chapters (work in progress – adding more while time allows) will finally dive into the control panels code. While it’s all about this specific ‘driver’ I’m sure it’ll help everybody who starts the adventure of understanding pretty low-level 68k Macintosh code.